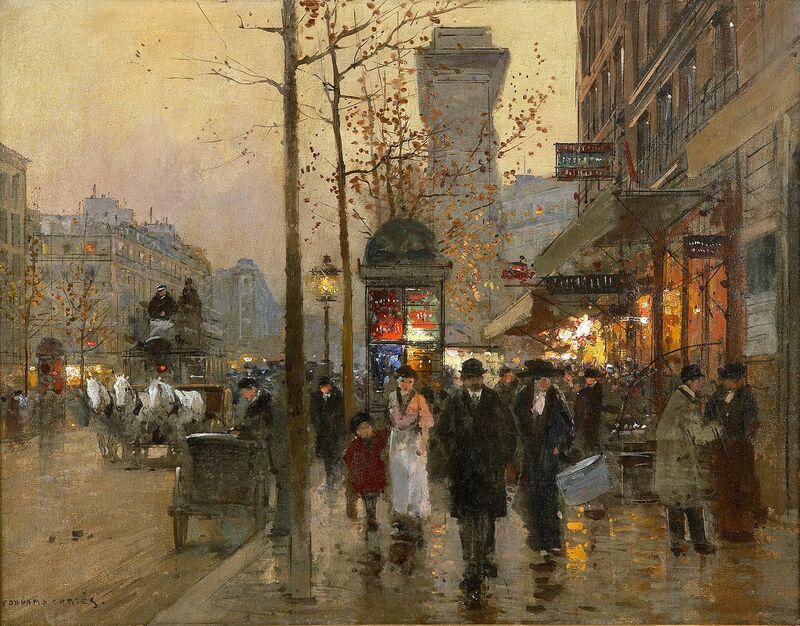 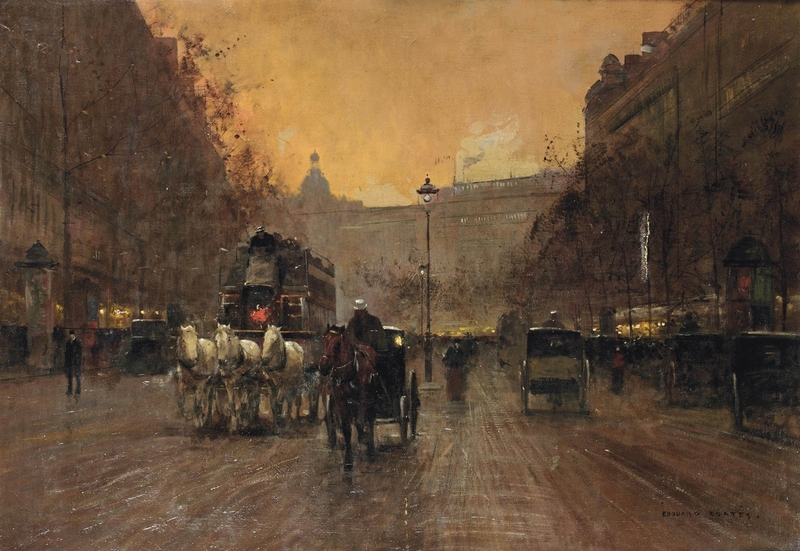 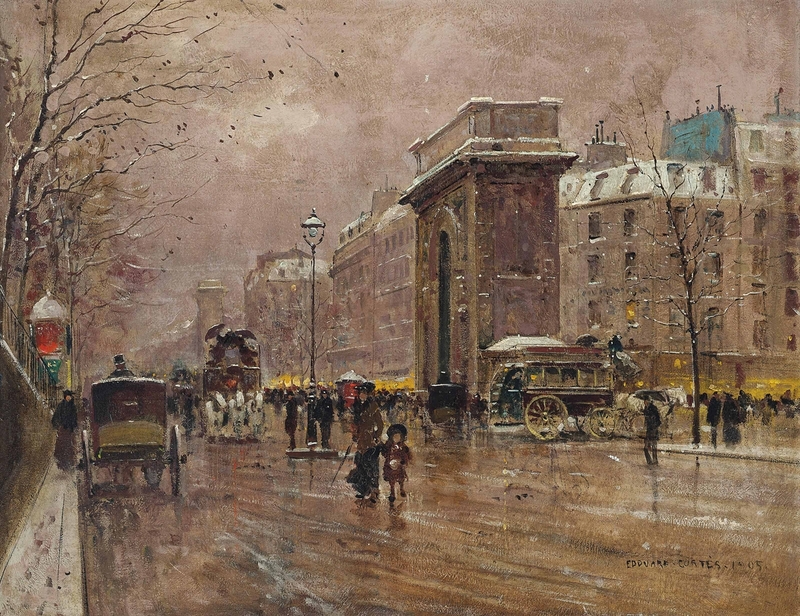 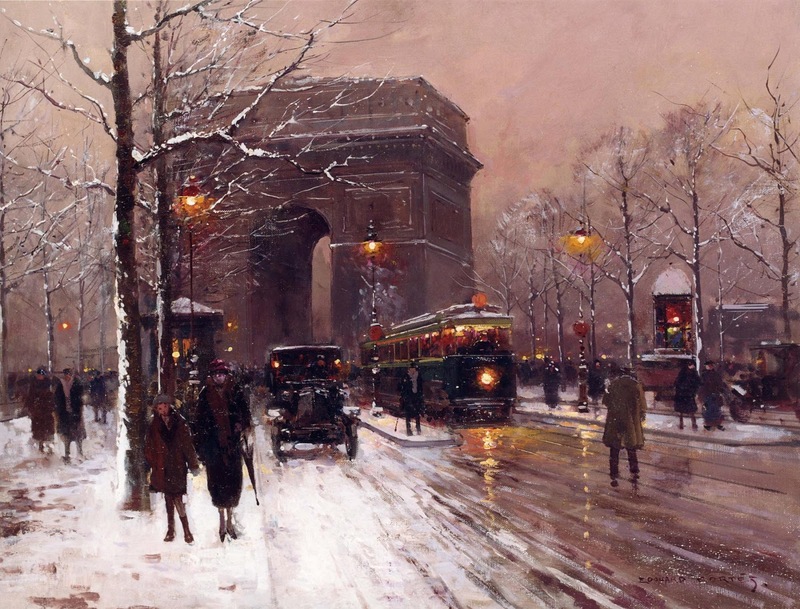 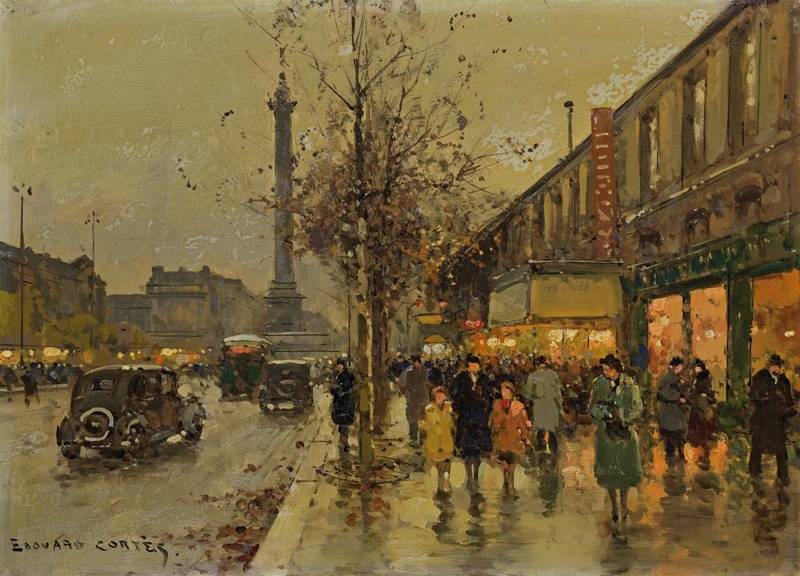 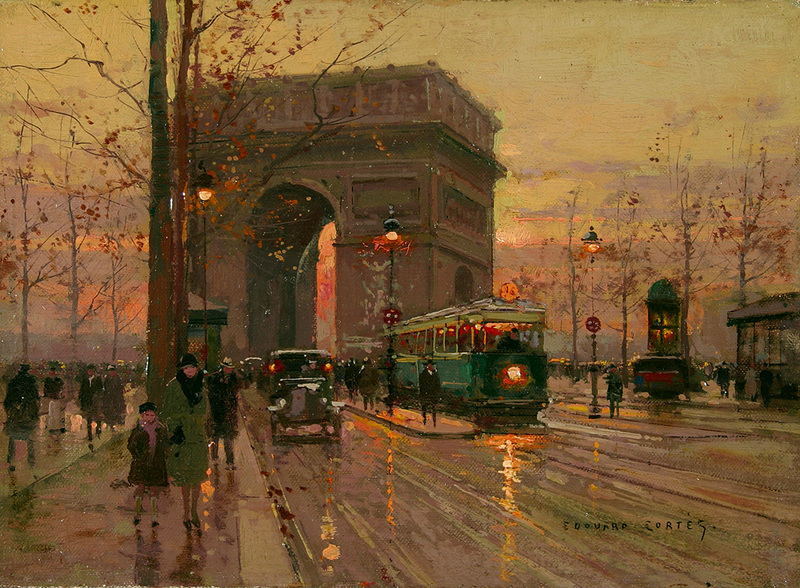 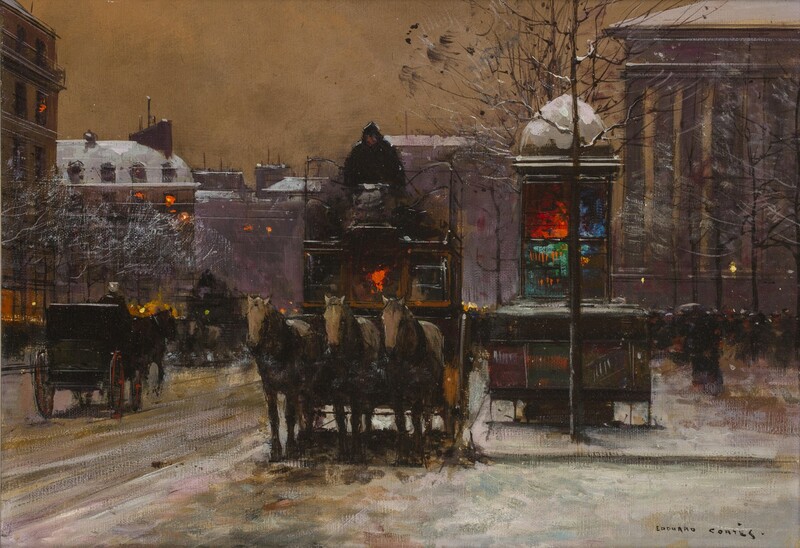 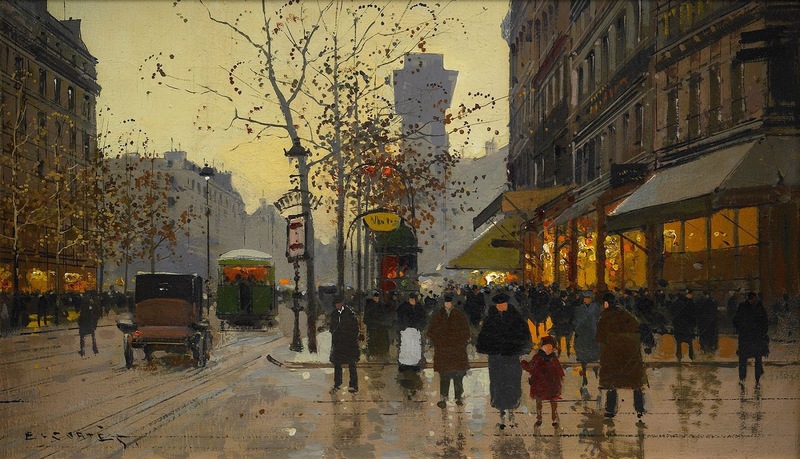 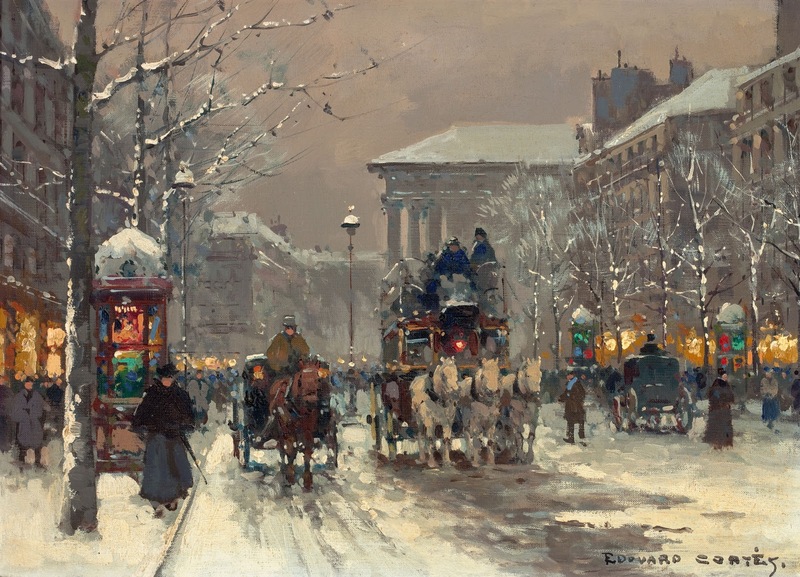 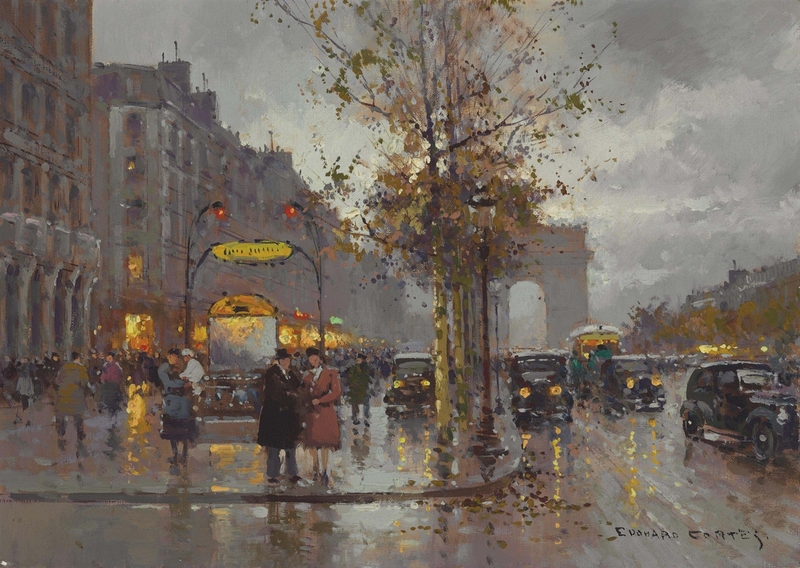 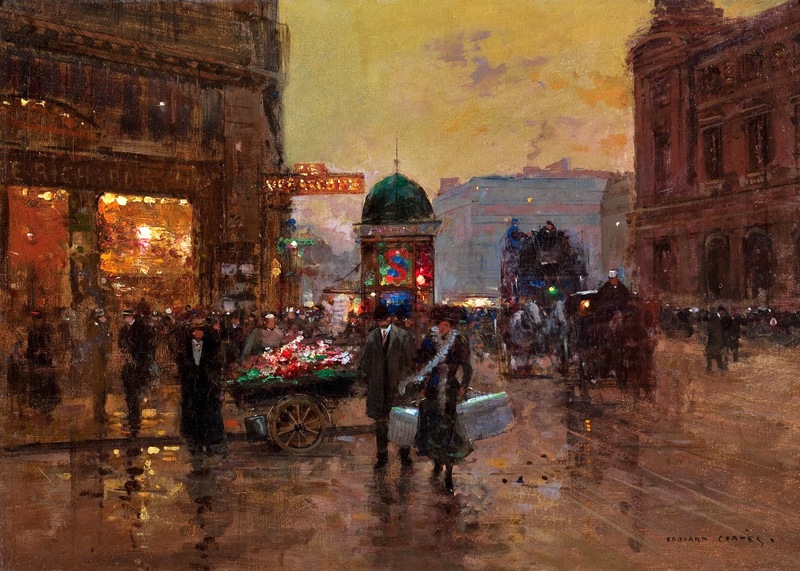 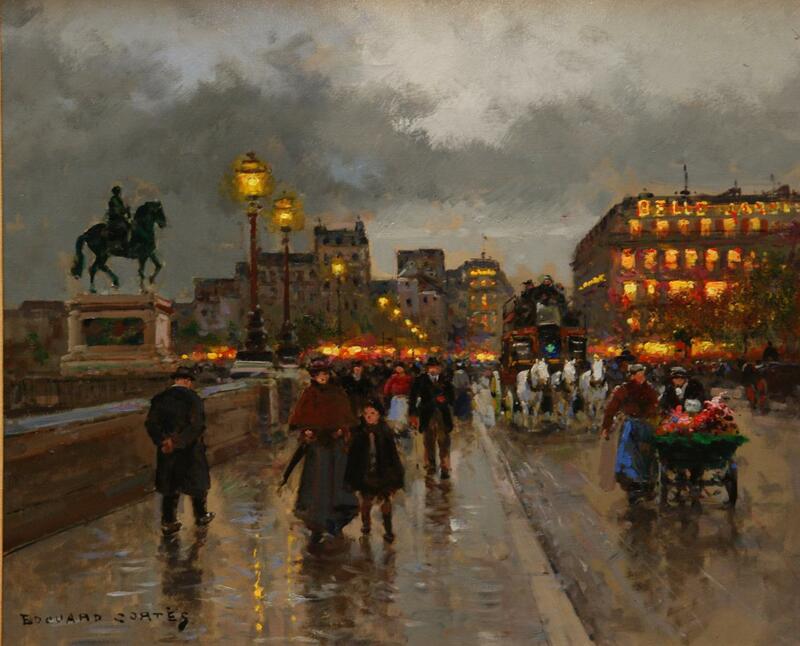 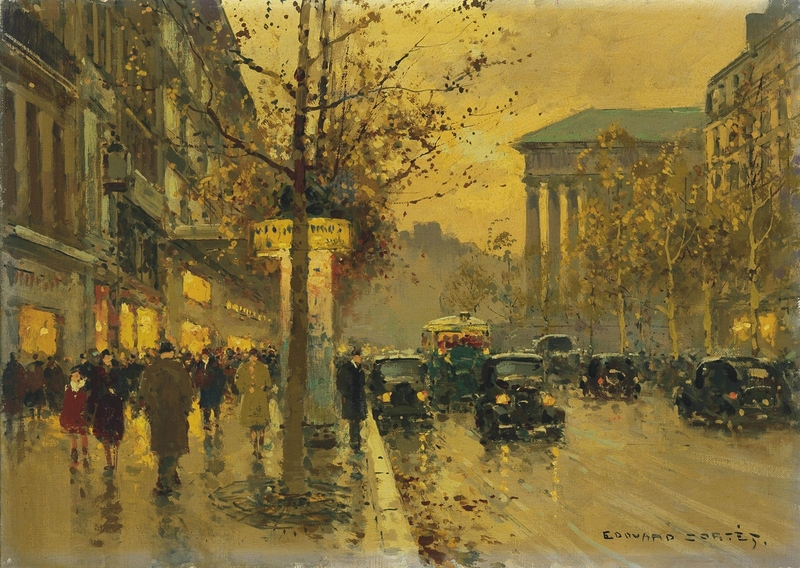 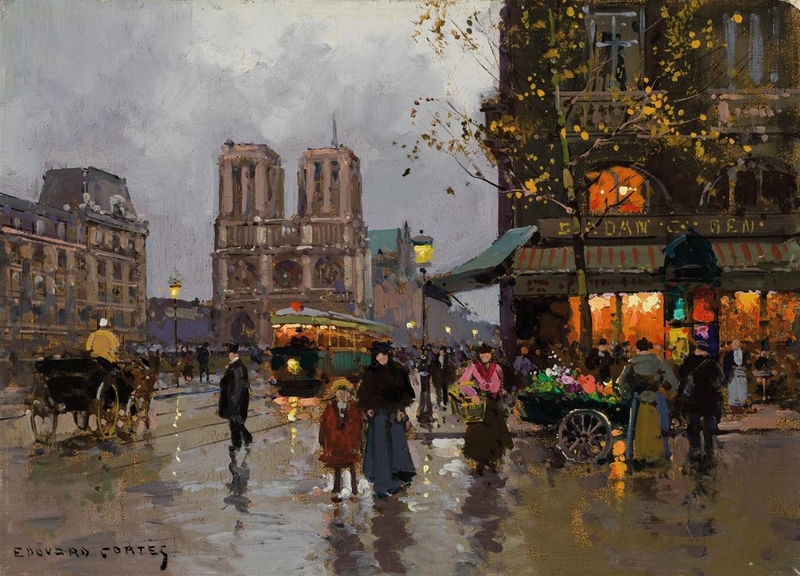 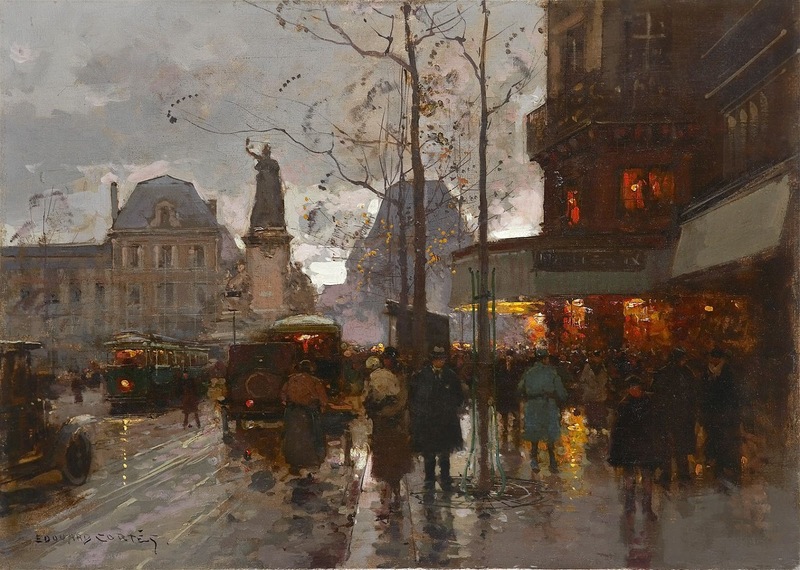 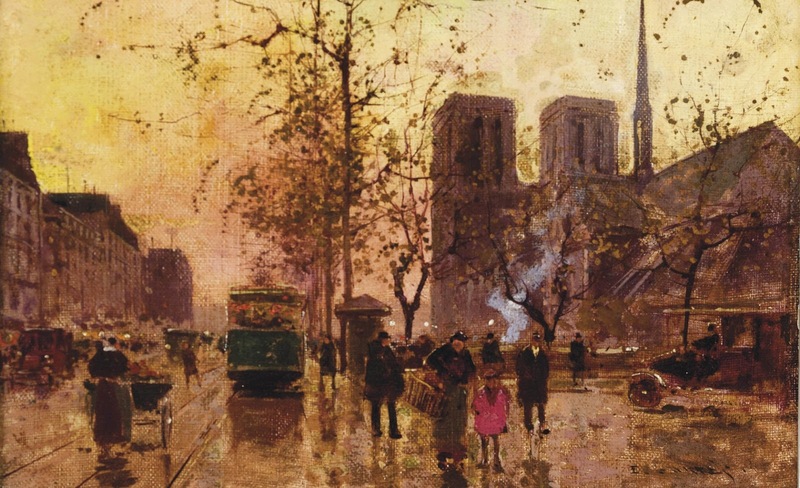 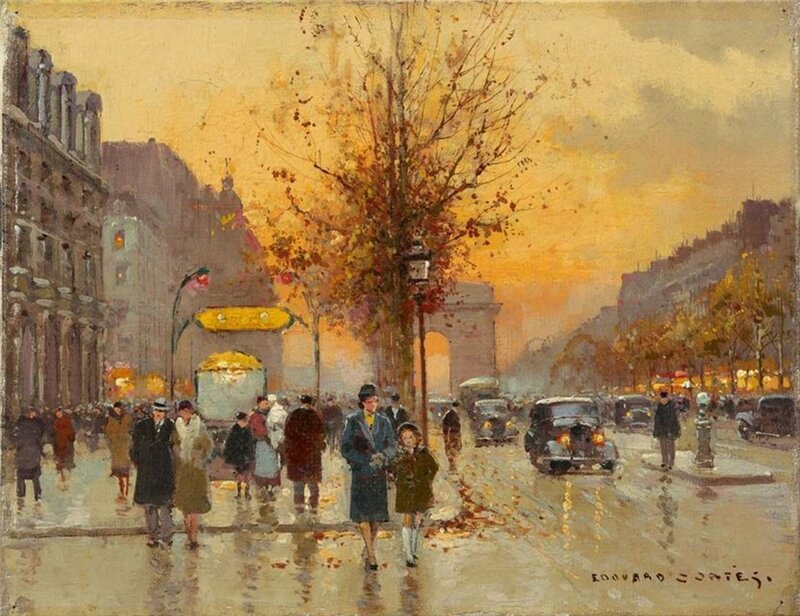 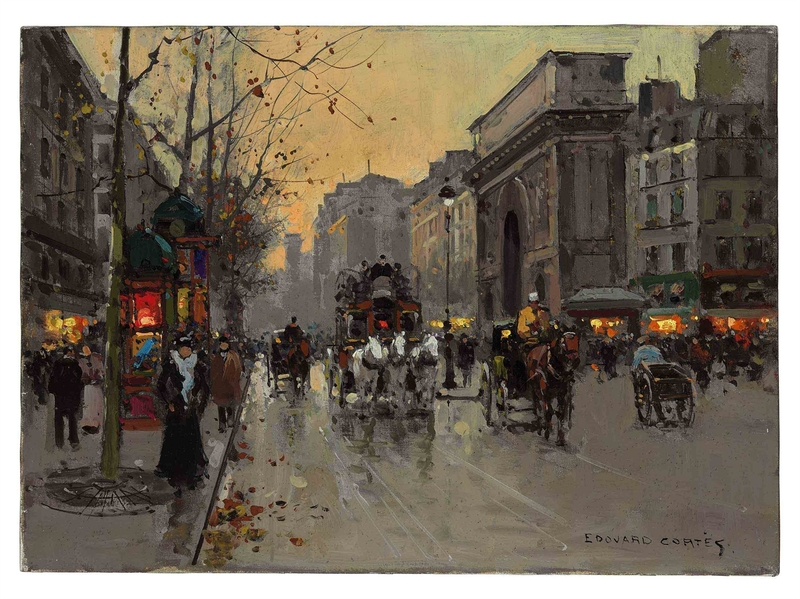 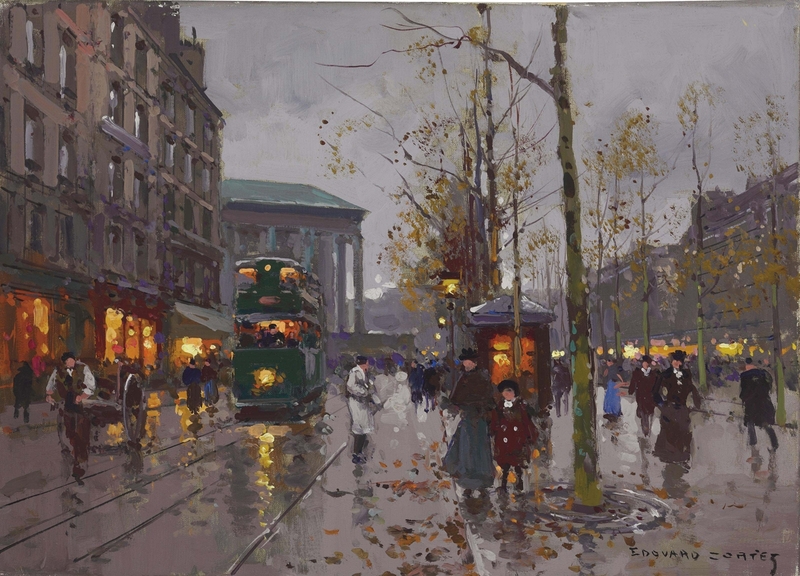 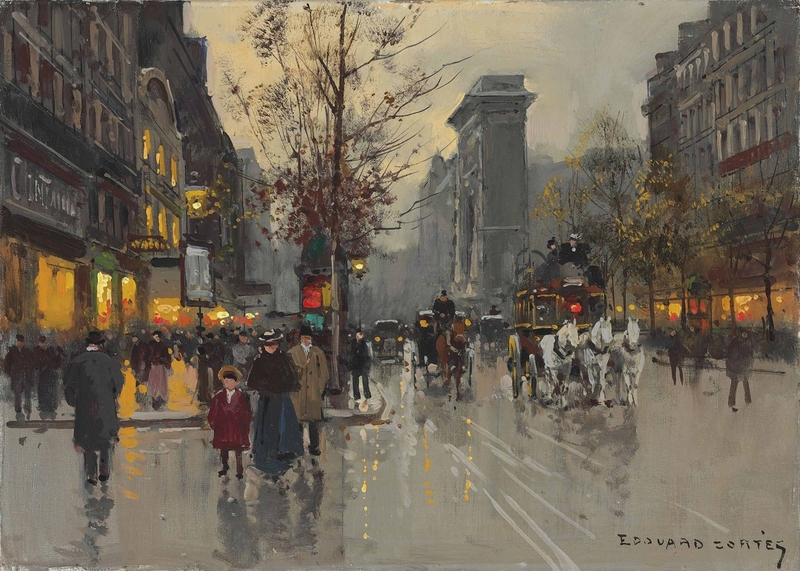 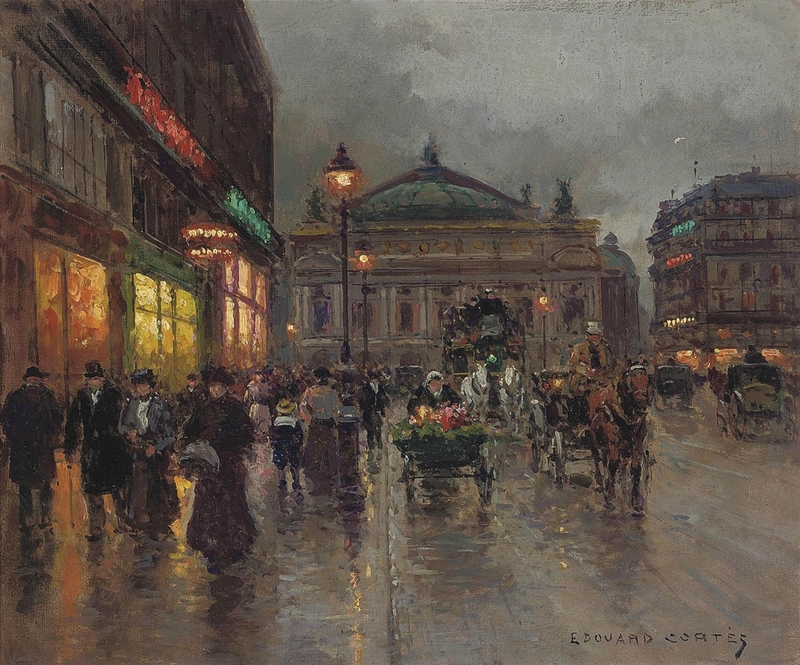 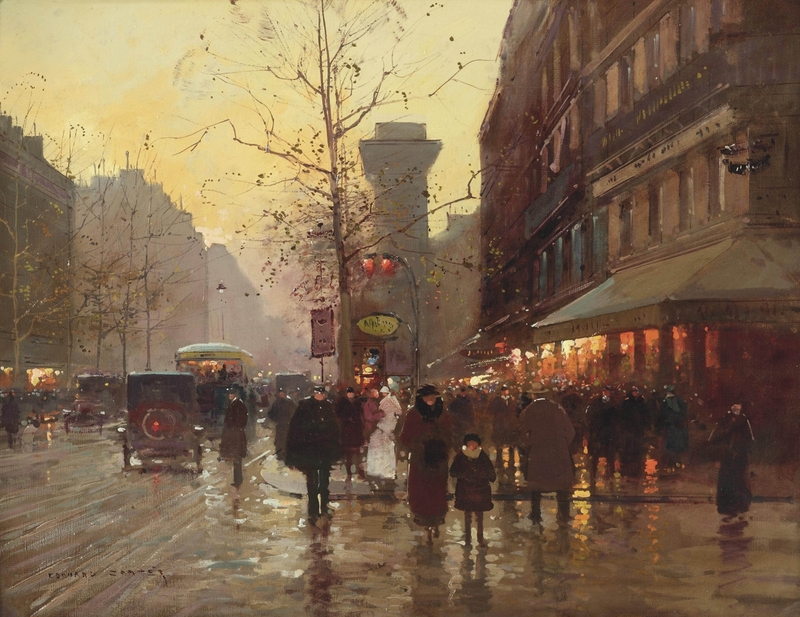 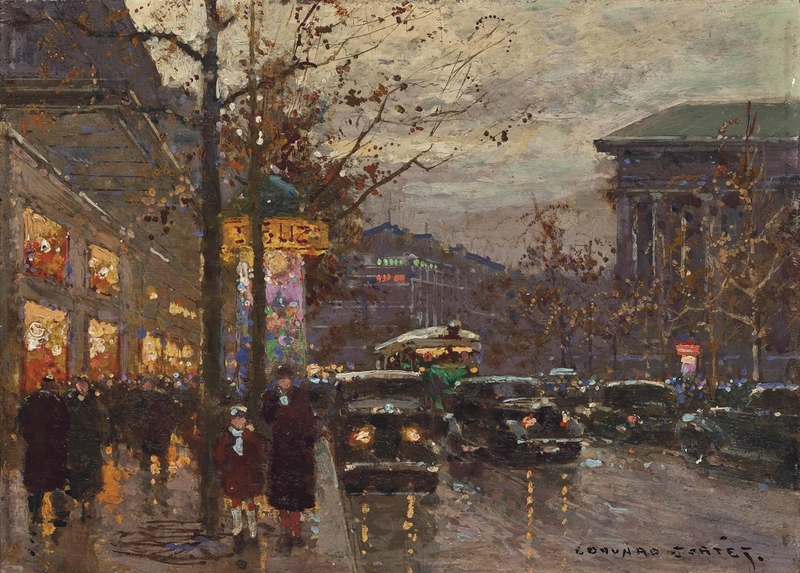 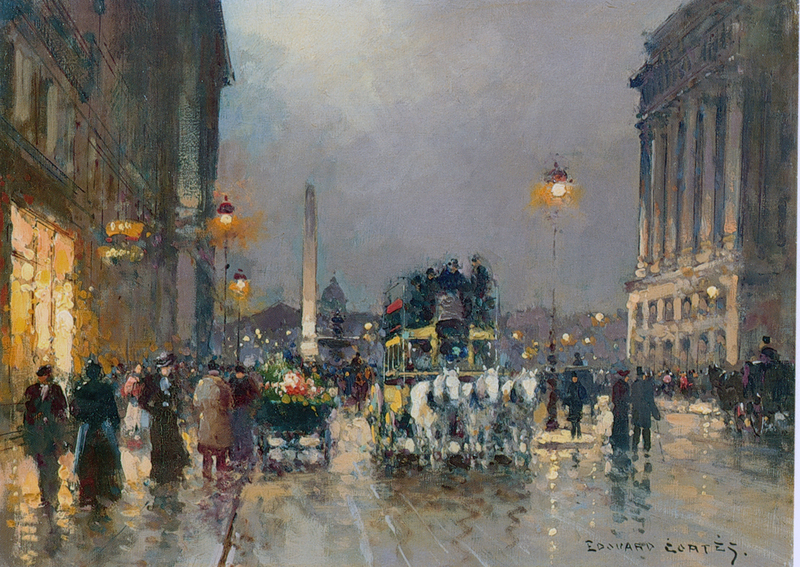 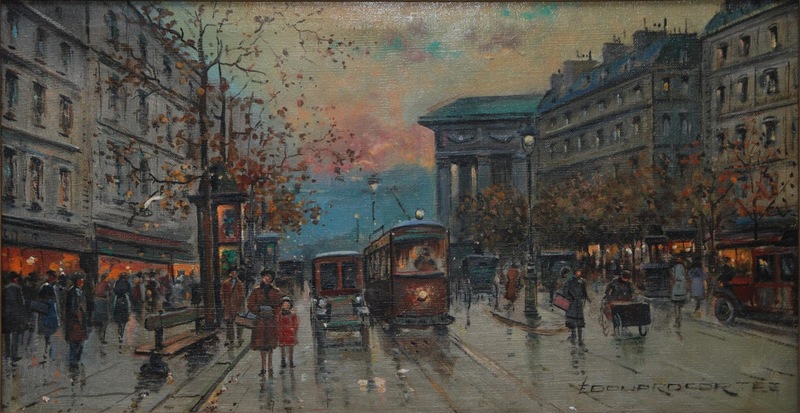 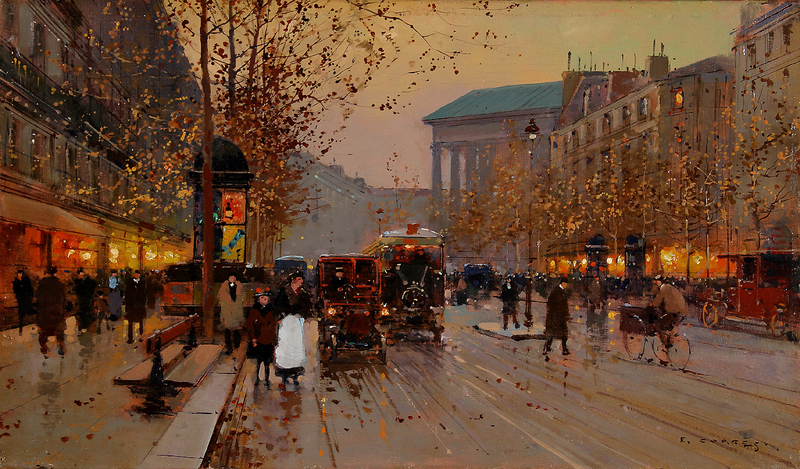 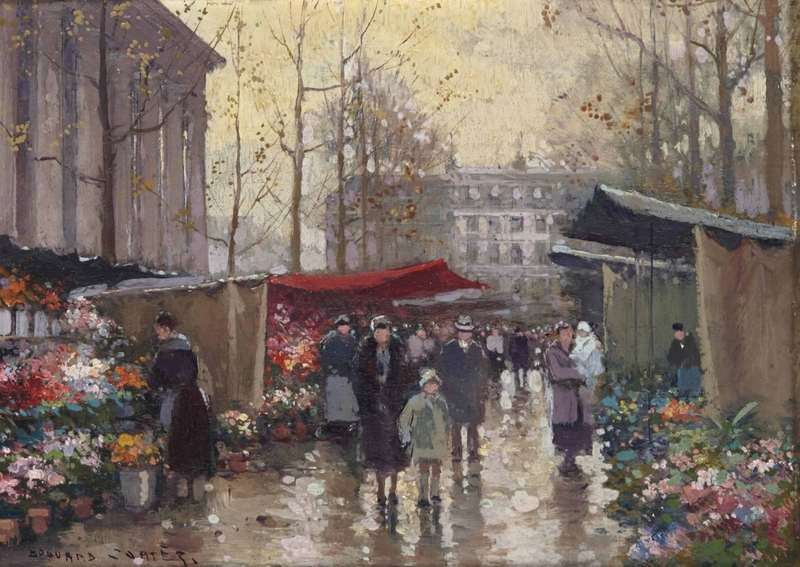 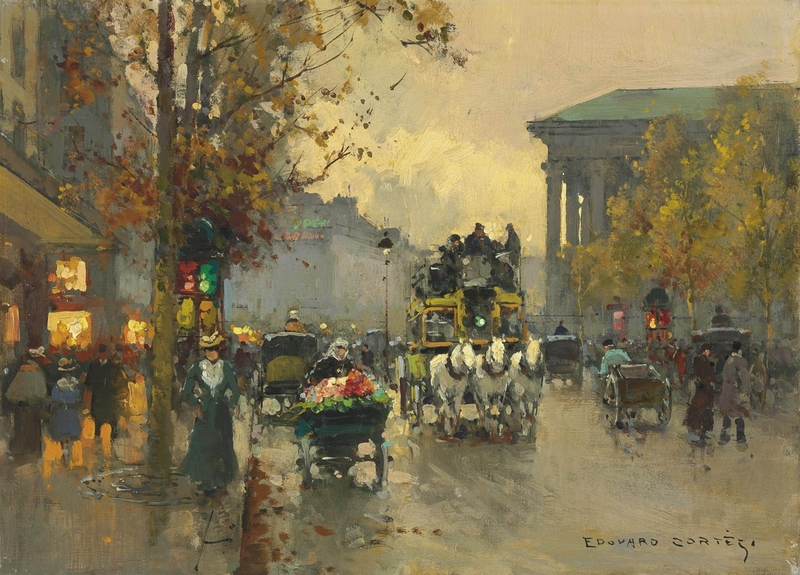 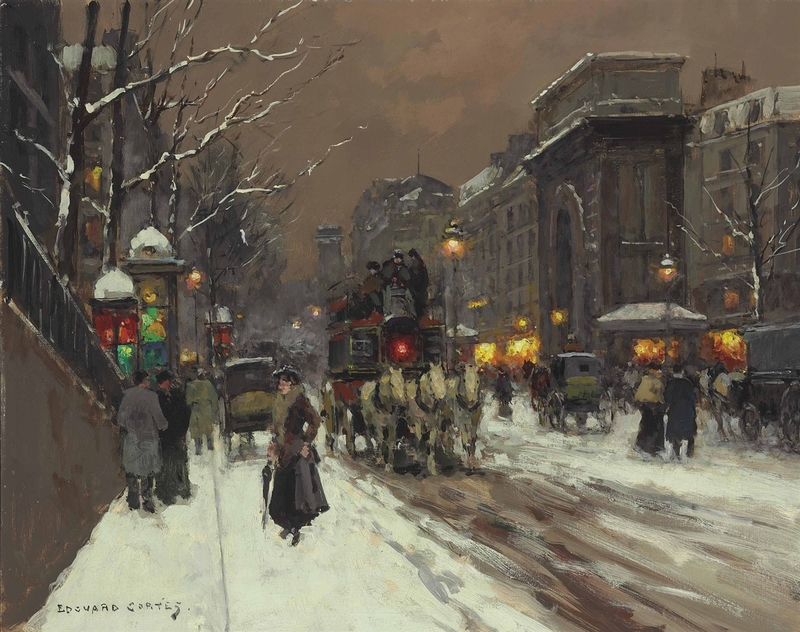 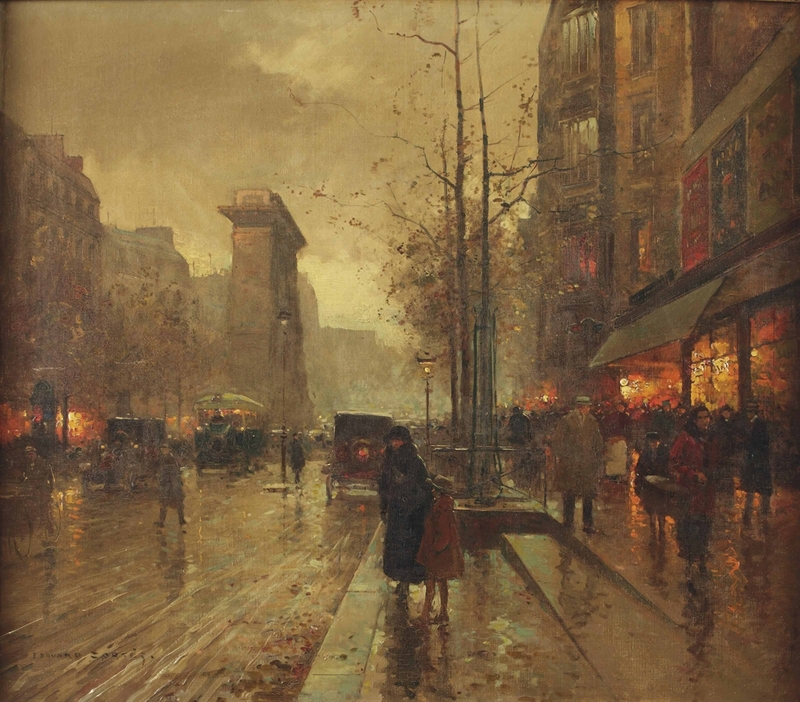 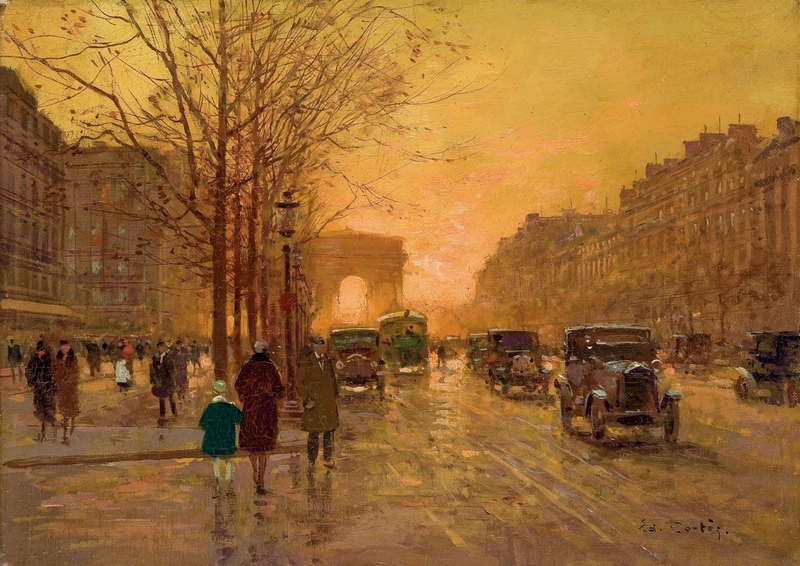 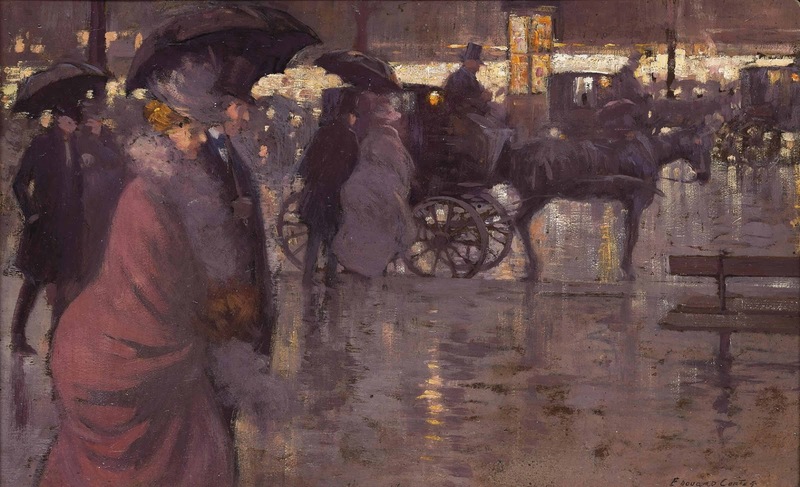 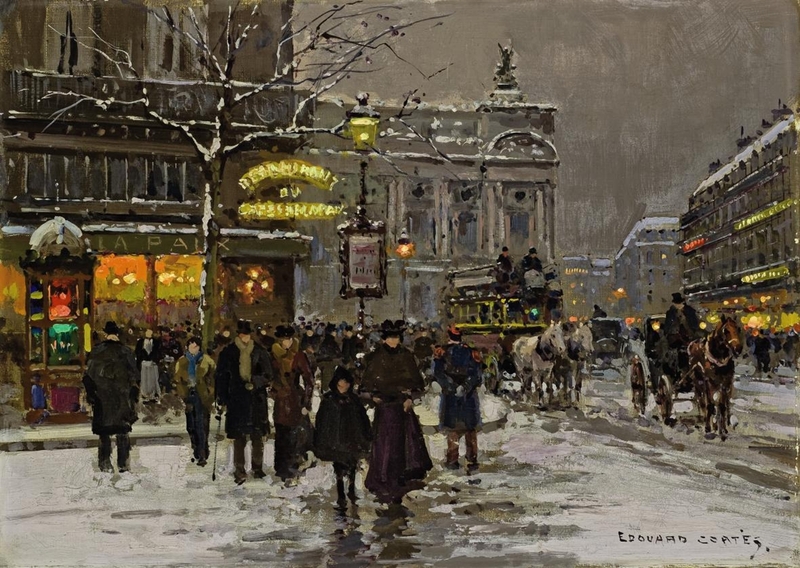 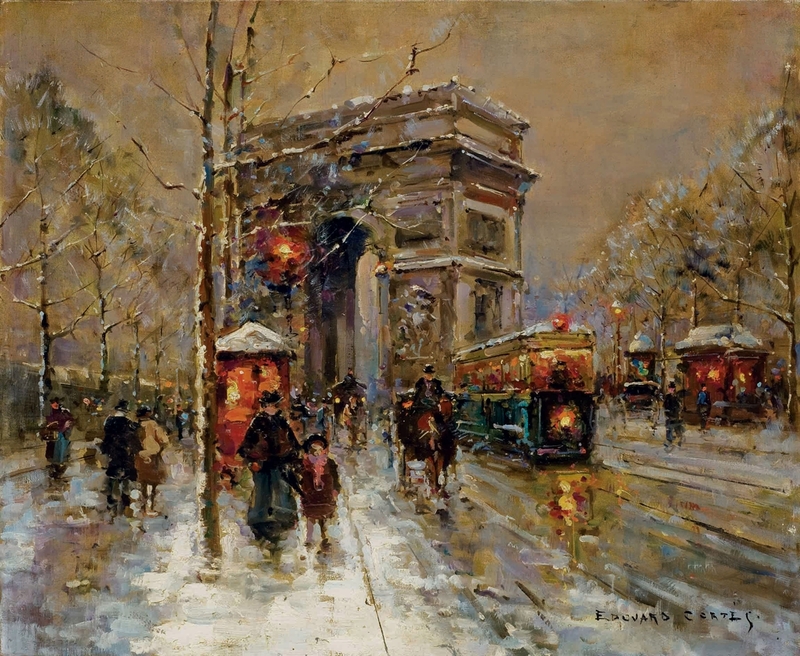 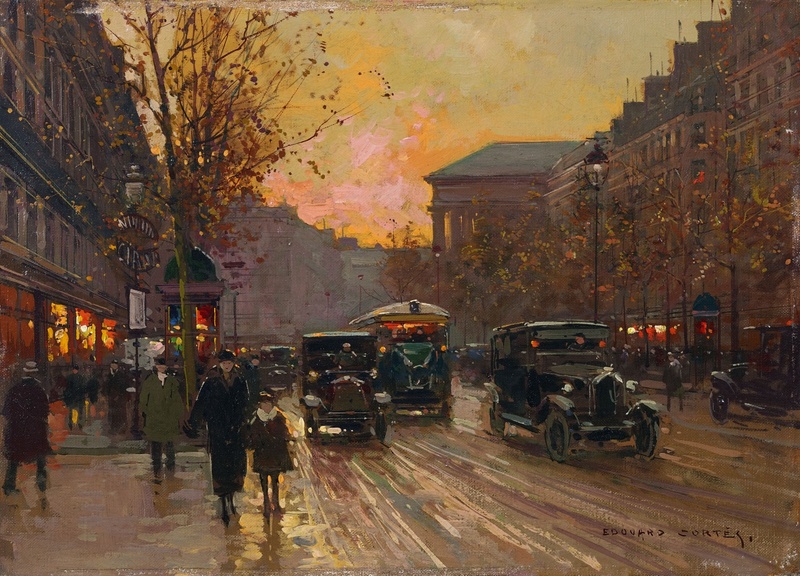 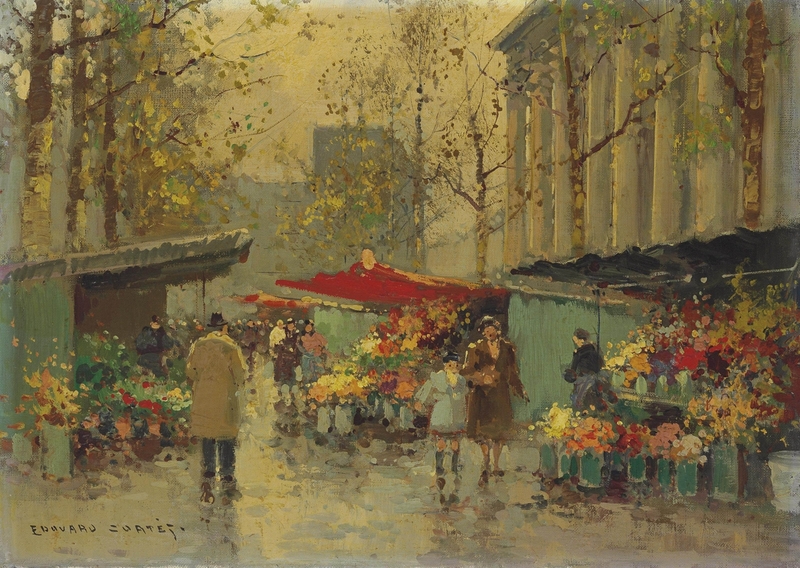 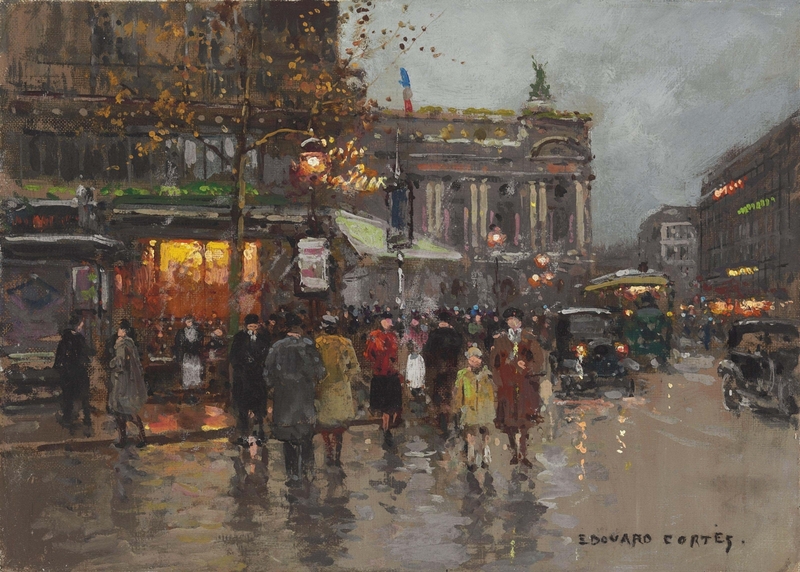 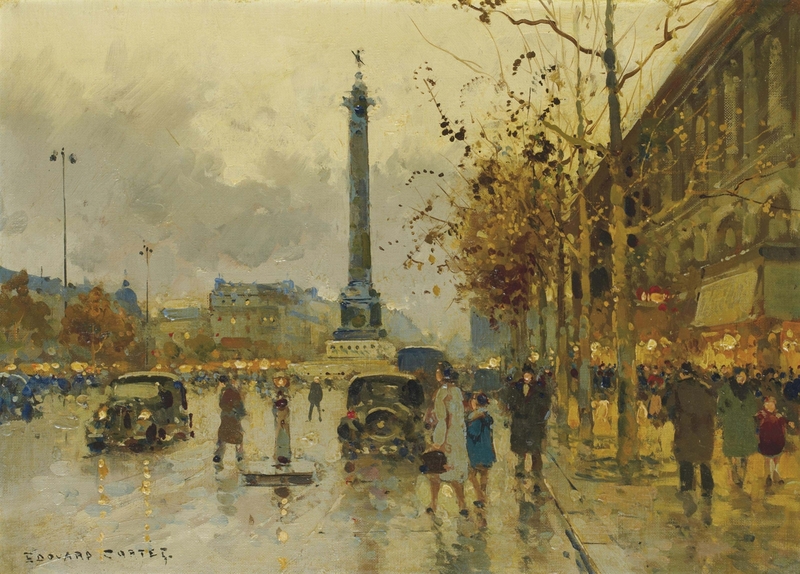 Édouard Leon Cortès (1882-1969) is an French painter, known for his Paris cityscapes in a variety of weather and night settings. 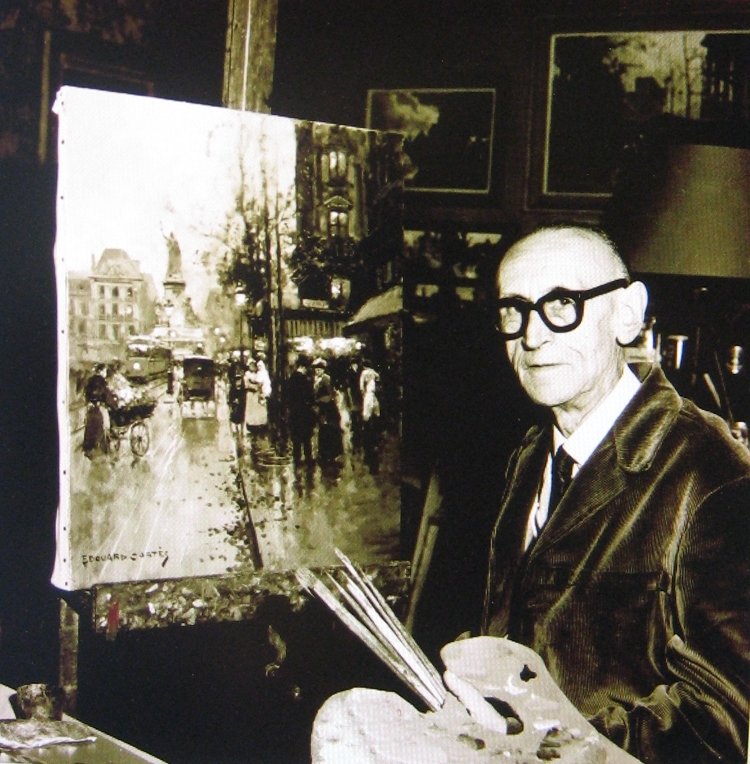 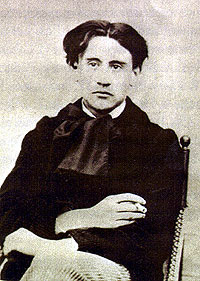 Édouard Leon Cortès was born in Lagny-sur-Marne, a few miles east of Paris. 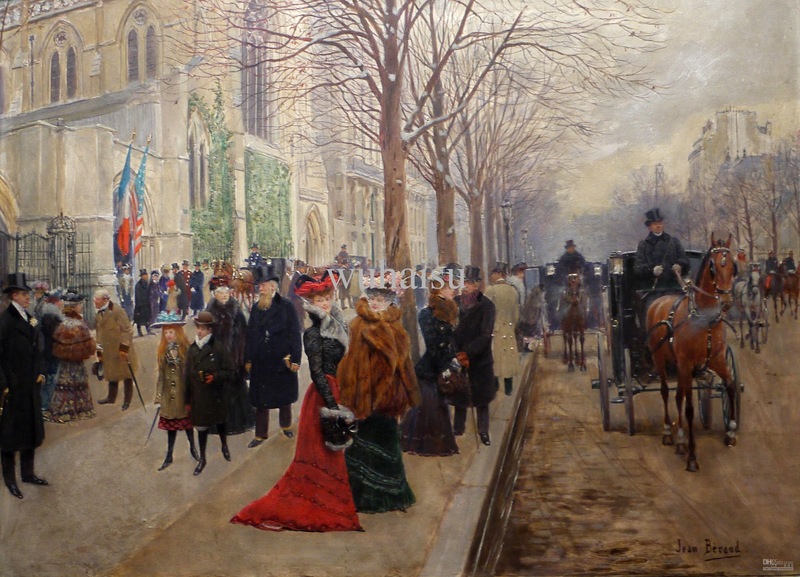 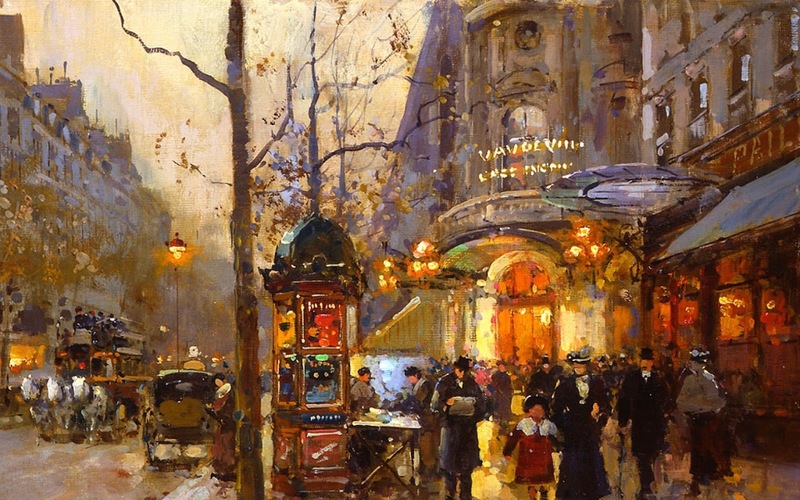 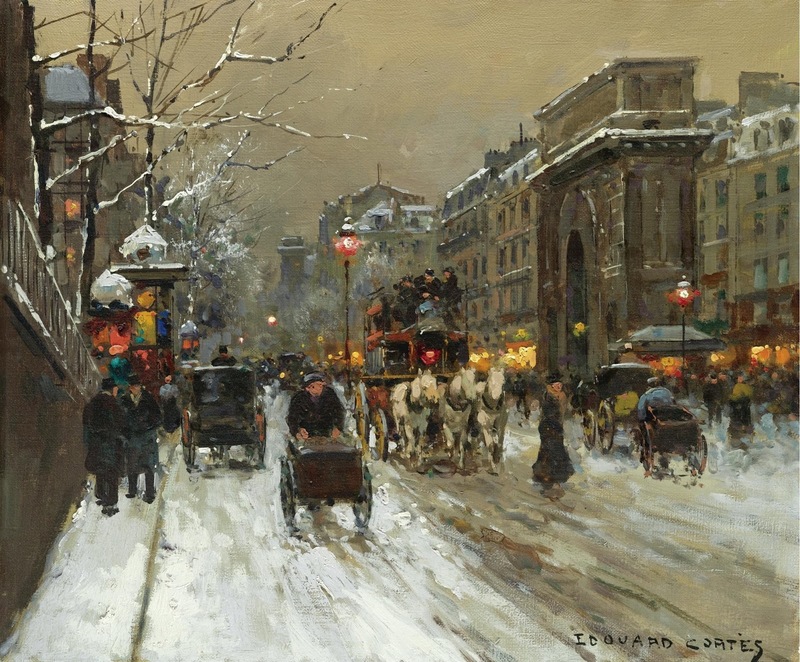 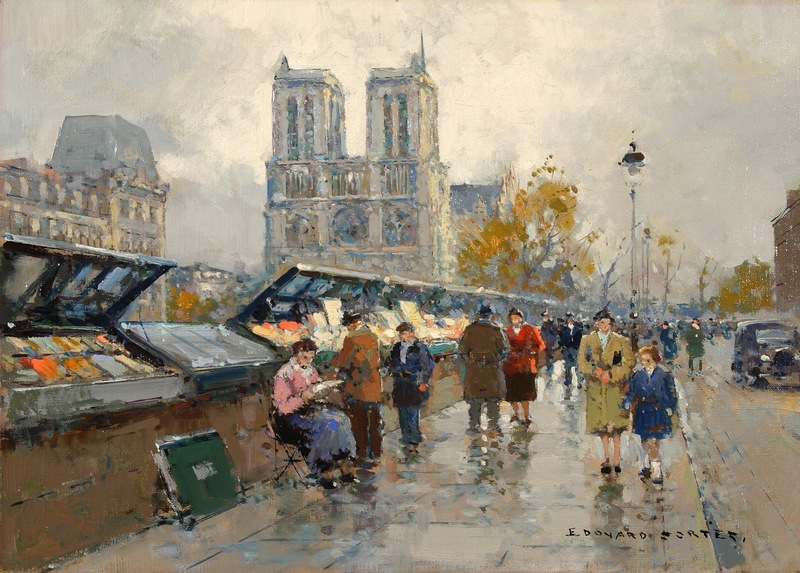 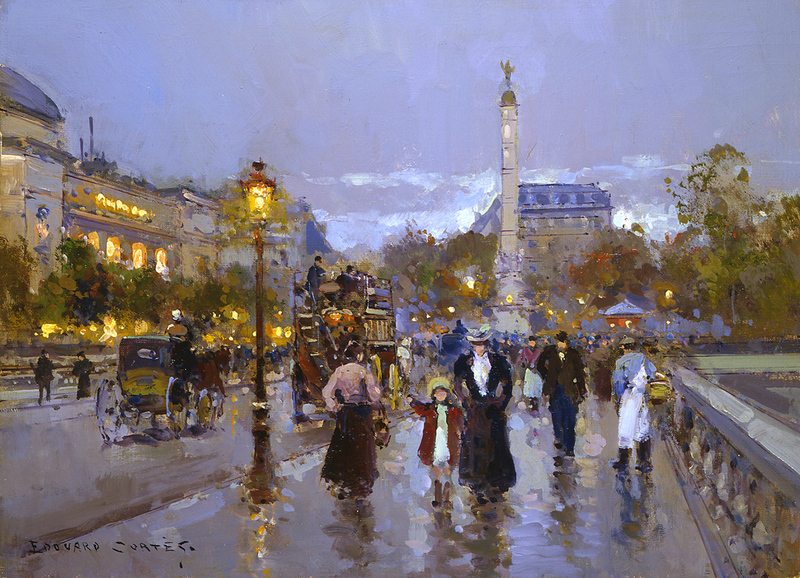 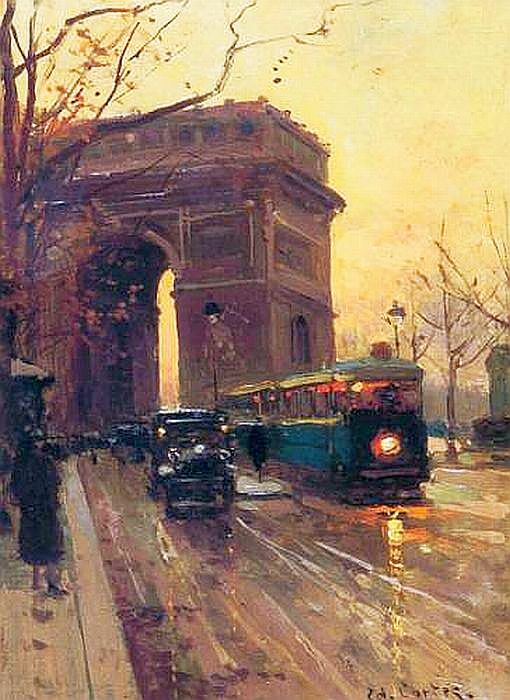 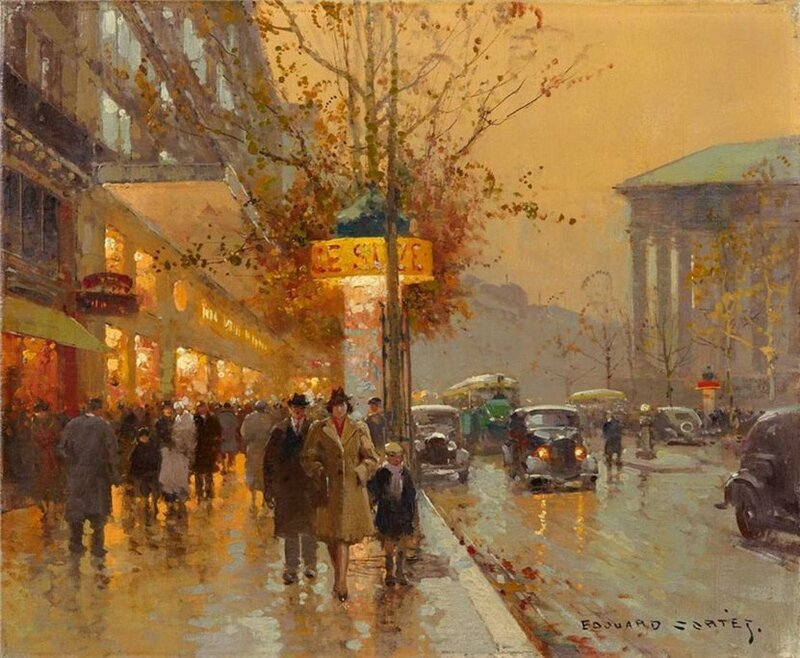 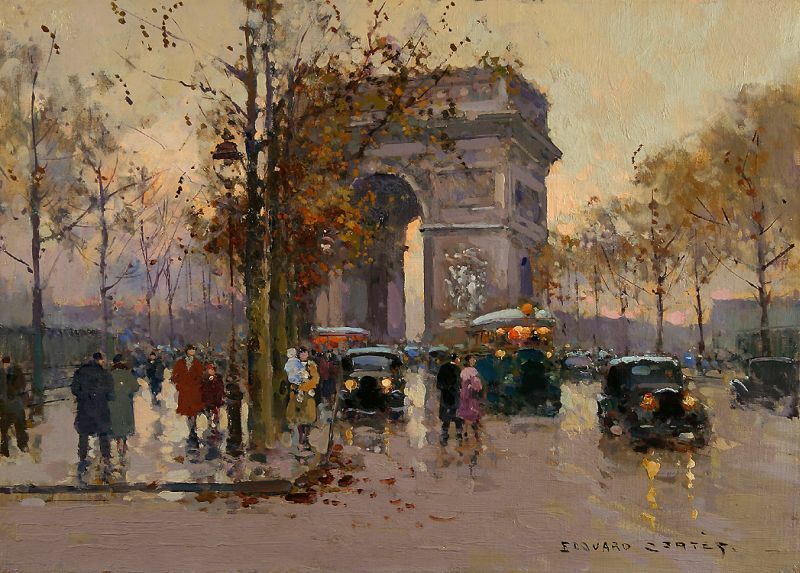 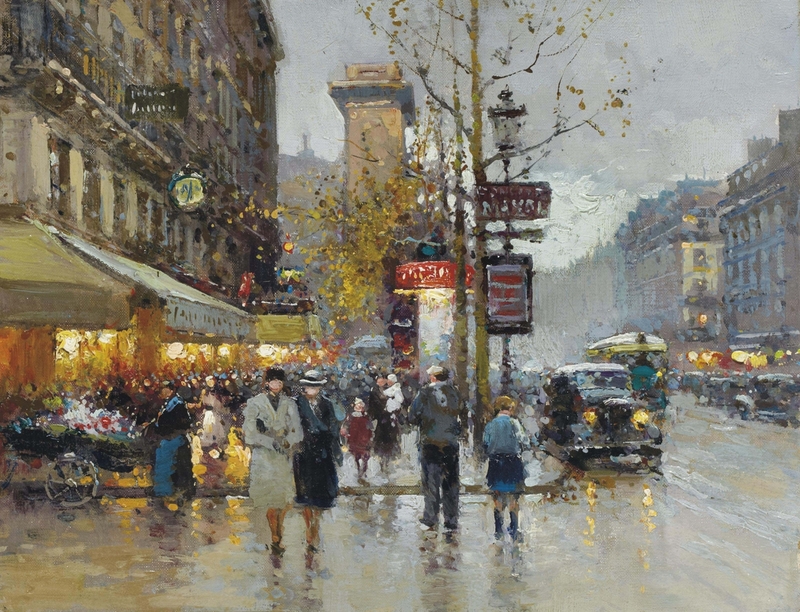 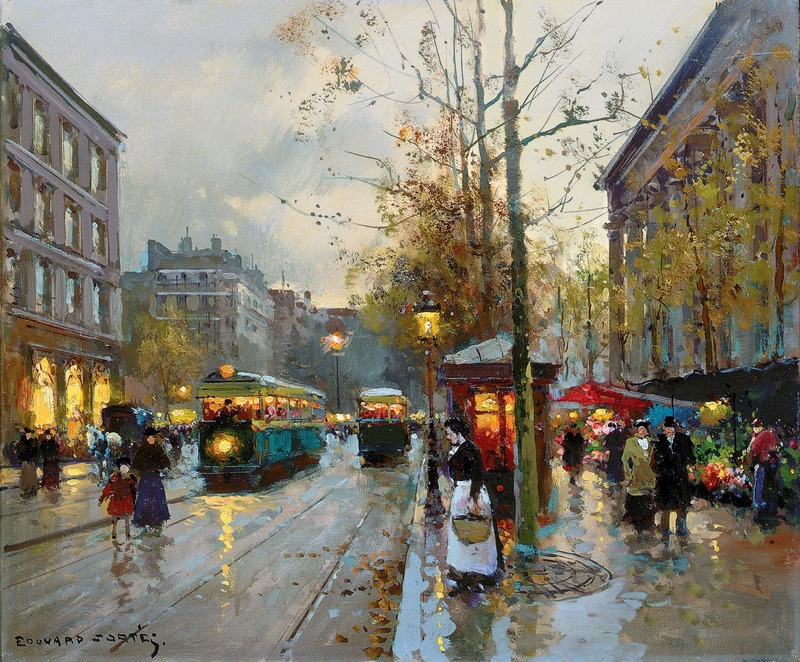 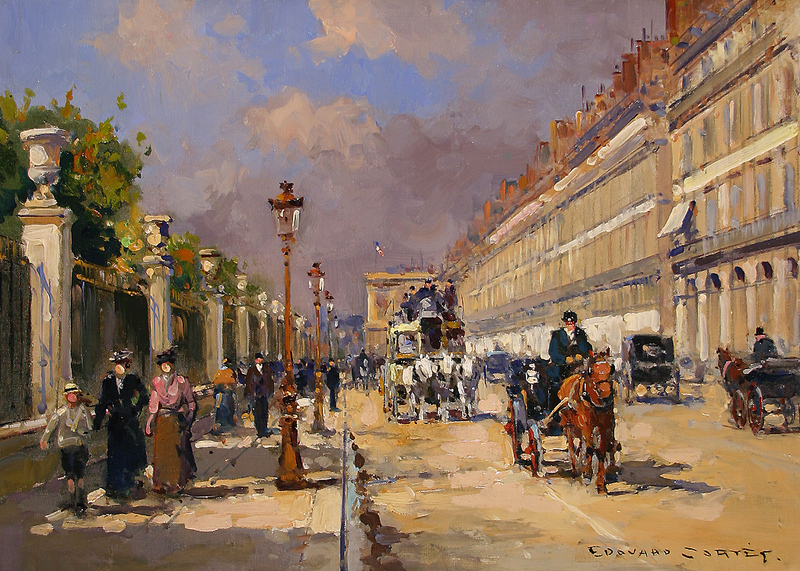 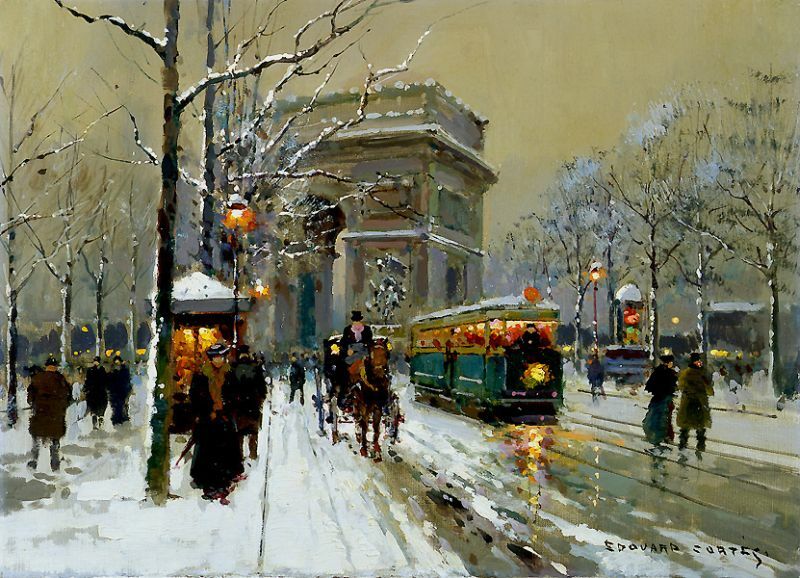 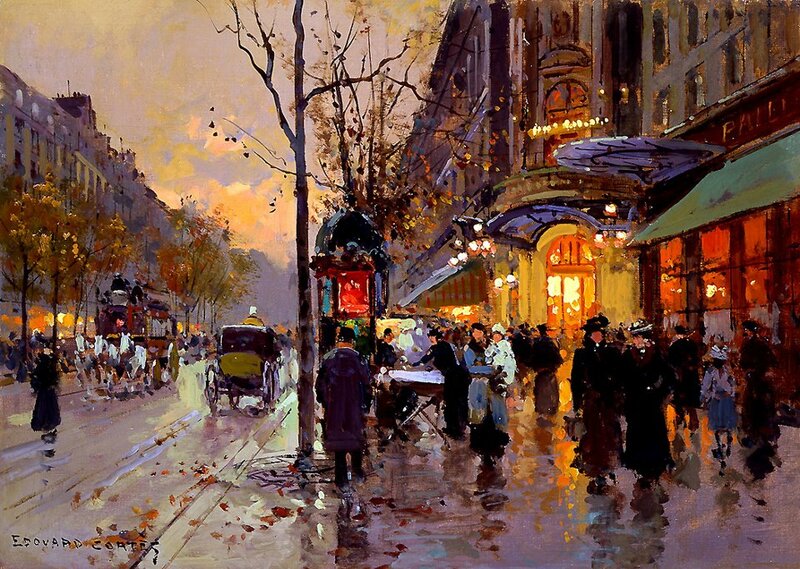 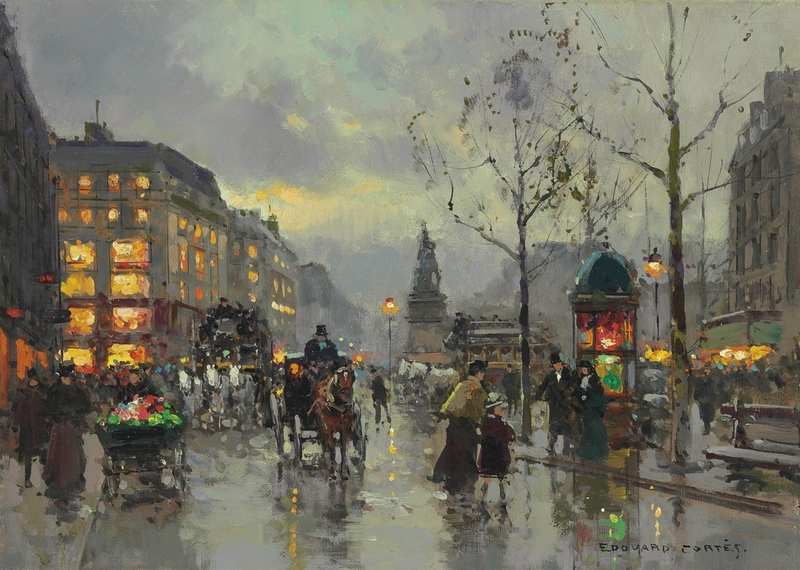 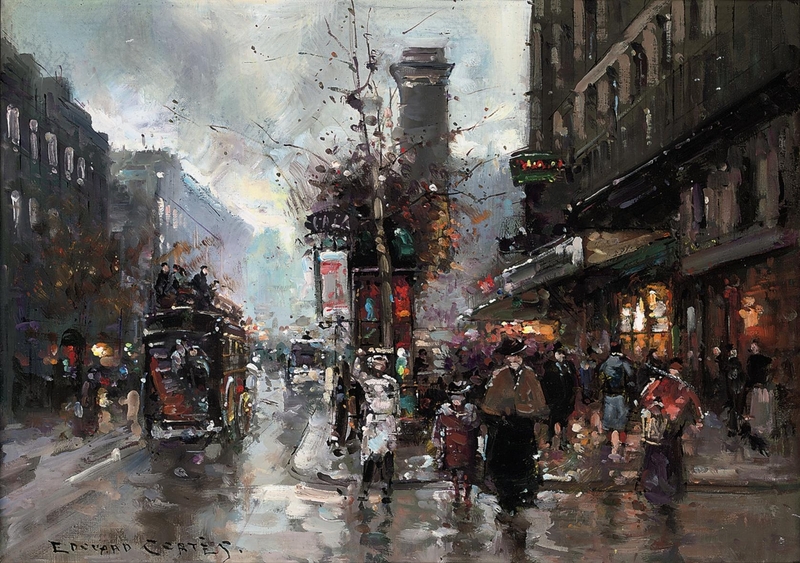 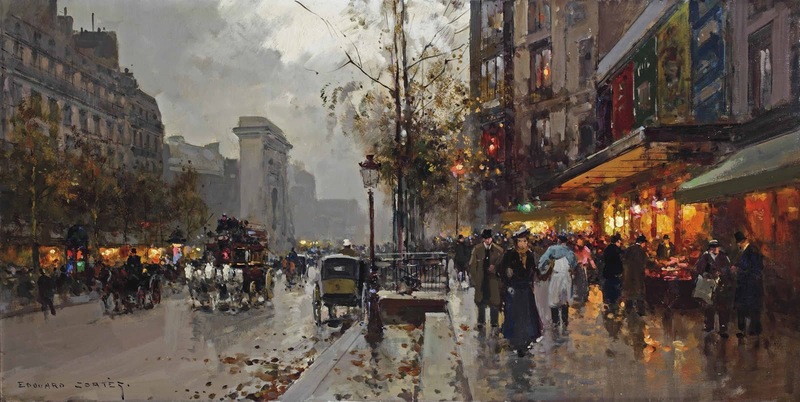 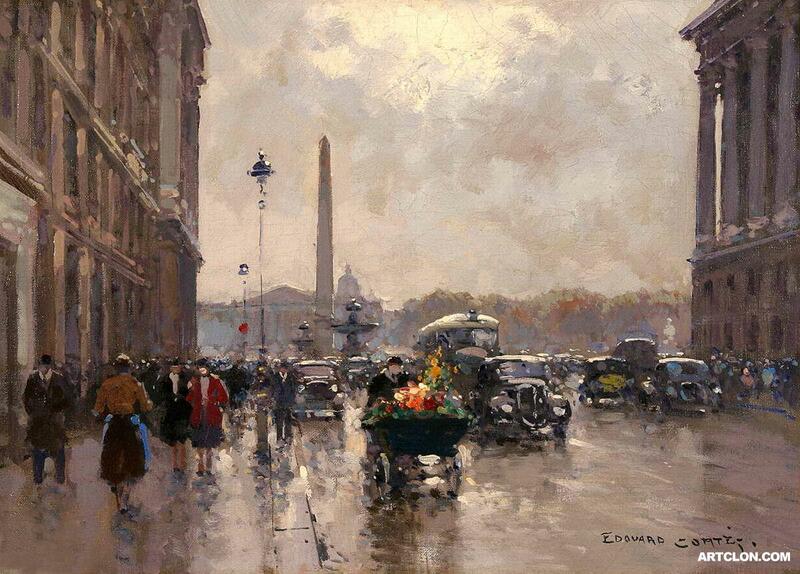 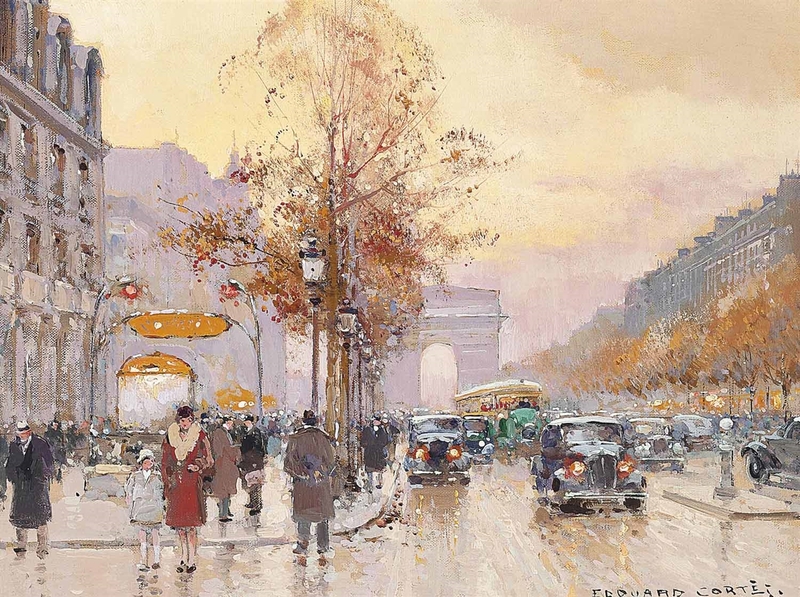 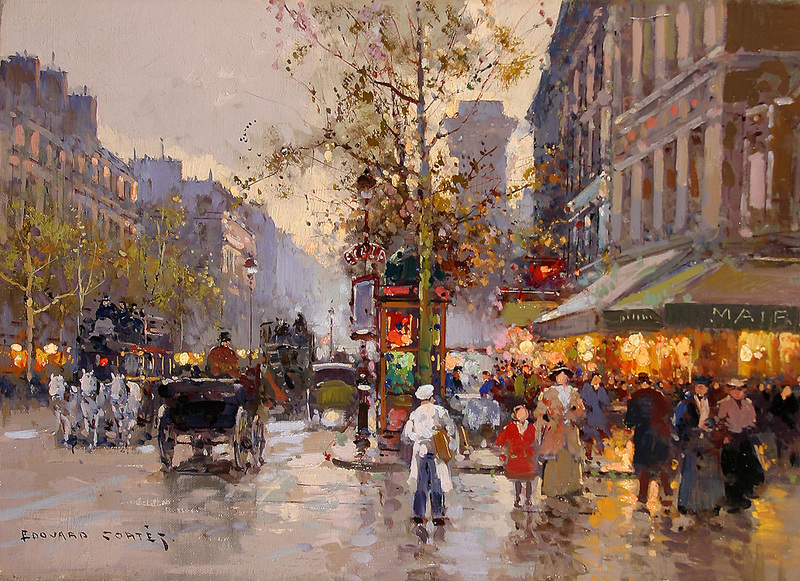 For biographical notes -in english and italian- and other works by Cortès see Edouard Cortes ~ Post-Impressionist painter.